Ten races, four podiums, one win and two pole positions: Felix Rosenqvist’s debut Formula E campaign has resonated with force throughout the motorsport community. With just one more round to go of the 2016-17 season – staged this weekend on the streets of Montreal – the Swedish Mahindra Racing rookie finds himself at the centre of a thrilling battle over the leading championship positions, head to head with the series’ most experienced top names. As he set out on his new adventure in the all-electric single-seater series in Hong Kong back in October of last year, Rosenqvist became the first Swede ever to contest the world’s most innovative racing championship. Swiftly adapting to his new environment, Rosenqvist posted the fastest lap of the race in the Asian metropolis to immediately open up his points account – which has since grown extensively. The first podium came just one race later, with Rosenqvist converting a shock pole position into third place in round two at Marrakesh. The ultimate target was then achieved at the Berlin ePrix earlier this summer, as Rosenqvist delivered the first Formula E victory both for himself and for Mahindra Racing. Riding the waves of momentum, he went on to finish second last time out in New York, cheered on by hordes of Mahindra “Passioneers” in front of the iconic Manhattan skyline. With three podiums from the last four races, Rosenqvist heads into this weekend’s finale on the streets of Montreal brimming with confidence. The 25-year-old sits third in the overall standings ahead of the Canadian double-header, comfortably leading the rookie scores with more than twice the points of his nearest fellow newcomer. Rosenqvist trails only reigning champion Sébastien Buemi (SUI) and Brazilian Formula E stalwart Lucas di Grassi, while Britain’s Sam Bird, France’s Nicolas Prost, German Mahindra Racing team-mate Nick Heidfeld and Jean-Eric Vergne (FRA) are a real menace from behind as the final classification is set in Montreal. With Rosenqvist as the sole exception, all other drivers inside the current top seven have contested each of the three Formula E seasons staged to date. As a matter of fact, Rosenqvist actually forms part of a quartet of drivers – alongside Buemi, di Grassi and Bird – still mathematically able to clinch the outright Formula E title. Such an outcome is remote at best for Rosenqvist, however; the gap to leader Buemi amounts to 53 points with just a maximum 58 still up for grabs. Second-placed di Grassi, meanwhile, sits 43 clear of Rosenqvist. A more realistic proposition is the scrap over third, which looks certain to provide fireworks aplenty. Rosenqvist goes into Formula E’s first-ever Montreal visit just four points ahead of main threat Bird, galvanized by a double win in New York, and under real pressure from basically all drivers down to and including seventh-placed Vergne (30 points adrift of Rosenqvist) in the battle for bronze. 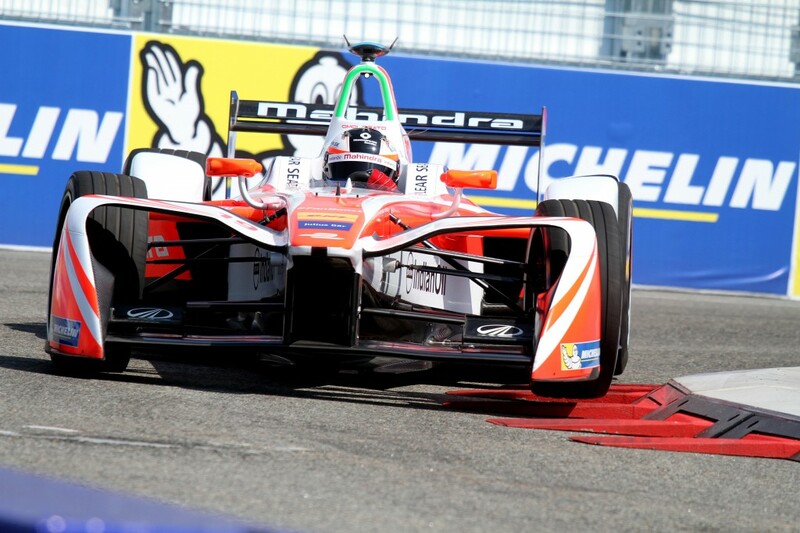 “My main goal this weekend is to defend third in the standings, and that won’t be easy,” Rosenqvist admits. “Bird had a dream weekend in New York, and I think it’s completely open between three or four of us. The 2016-17 FIA Formula E Championship concludes with two races around the Radio-Canada area of Montreal, the first taking place on Saturday and the grand finale following suit on Sunday. Both races have been allocated a 16.00 (local time) start.